10 Gorgeous Mirror Work Blouse Patterns To Try Out! 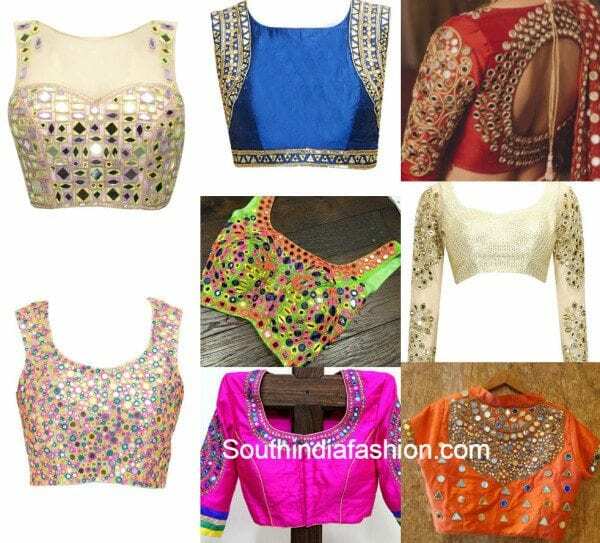 blouse designs 2015 10 Gorgeous Mirror Work Blouse Designs To Try Out! 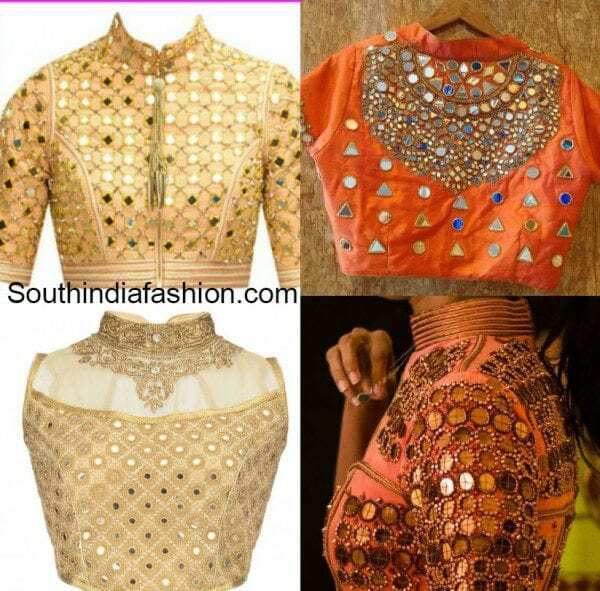 10 Gorgeous Mirror Work Blouse Designs To Try Out! If you want to make your plain Saree look stunning, there’s one thing you can do that always works without fail – team it up with a mirror work blouse! A mirror work blouse can make any saree and just about any attire look gorgeous. Isn’t that reason enough to get yourself a mirror work blouse the coming festive season? Here are a few ideas for some mirror work patterns on blouses that you should try out! Covering up all of your blouse with mirrors is a great way to use mirror work to its best. It can make just about any saree look stunning. Yet another gorgeous way to add mirrors to your blouse is to surround the neckline and the edges of the sleeves with mirrors. It adds a definite sheen to blouses that are printed or blouses of bright colors. If there’s one thing other than covering all of the back of your blouse with mirrors to make your blouse look beautiful, that would be to make a round cut on the back of your neck and surrounding it with mirrors. 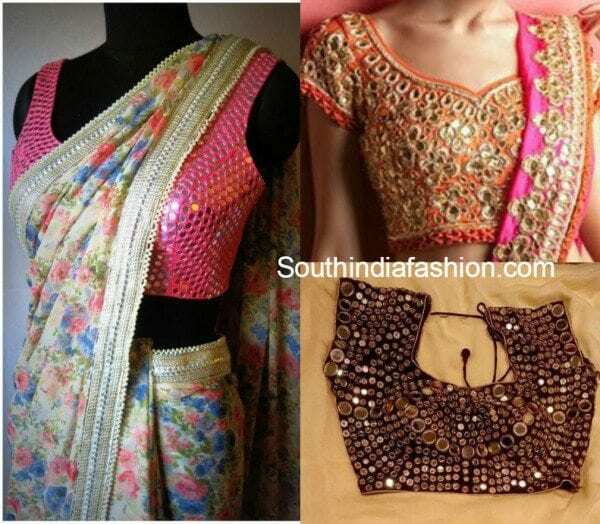 To add a certain sheen to your saree and make the mirrors add some good amount of gorgeousness to your saree, get a collar neck mirror work blouse. Team it up with a simple georgette, chiffon or net saree for it to look its prettiest. A high neck blouse blouse always adds a certain elegance to your attire. Get a high neck blouse stitched and add loads of mirrors around the neck (and all over the blouse too). Try teaming high neck mirror work blouse with simple plain sarees for it to look its best. Going sheer can make any blouse and just about any work look great. Try out the sheer blouse with mirror work done on it. 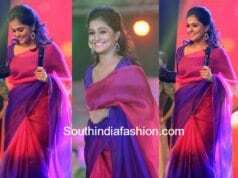 It is bound to make the saree look amazing! A sleeveless blouse which is covered in mirrors entirely on the front and the back can make just about any saree that is paired with it look pretty. A blouse of this kind is a wardrobe-must-have! The boat neck pattern which is much in vogue lately can be embellished with a whole lot of mirrors near the neck and the sleeves. That’s a definite way to put mirrors to their best use when you’re teaming them up with chiffon sarees. If you want to try out a full-sleeved blouse with mirror work on it, get the sleeves covered entirely in mirrors. There can be nothing more gorgeous than that! 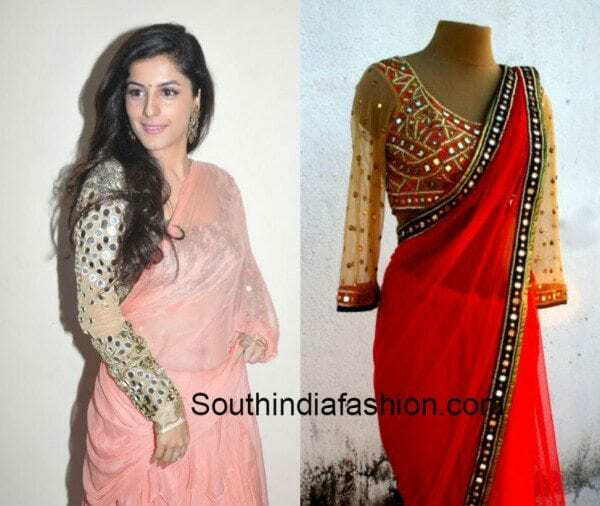 Yet another wardrobe-must-have if you have a vast collection of sarees. The multicoloured mirror work blouse looks best with any saree that you pick amplifying its beauty many folds. So which one of these mirror work blouse patterns did you like the most? How can I contact u..can I have Ur number pls..coz I like those mirror blouses.. I like it but haw come I got it . I liveing Bangladesh. I w to k pri also, thangs. How do I find out prices of individual blouses with mirror work. Please tell me how I find out the price of these mirror work blouse and buy these blouse? how to buy these mirror work blouses??? I need ur contact number. I would like to buy.. Please tell me how to get in touch with you getting these made. Want to buy multiple mirror work blouse fabric (unsticthed). Please email your what’s app cell number on my email id. how to purchase mirror blouse?? How can I contact you.i need 1 blouse.give me your number. Plz send me a price of all thos fabric plz..and how toh buy. How can i buy these blouses ?? Do let me know , how to buy from you. I wann to buy …. I would love to buy. Please let me know how. Please share prices of all blouses and but how to buy these plz tell me and gov it no plz. I would like to buy this mirror work blouse . So plz share me u r cel.no. Lovely Blousses.. How do I purchase? I would like to order the mirror blouses. Let me have your direct contact name and number. i like designer blouses. I would like to buy. How do I purchase. How to buy this mirror blouse??? As many have inquired, I too am interested in purchasing some of these mirror blouses. Please let me know what sites are selling these blouses. my number is 9560988413 i want to buy in bulk.please tell the prices . I really appreciate your the designs here and would like to purchase too, but If these are for sale then why is there no procedure for it?? And without price and description whats the purpose of this site?? HI can you please inform me about the cost i want to purchase mirrorwork gold or cream color Blouse. I want to buy some designer blouses from you for my wedding… How can I contact you???? Hi can purchase this blouses online?